Zodiac sign Virgo tends to be a talker, looking into the details of things deeply. With an enquiring mind they will be relentless in finding out all they want to know about something. Couple this with their extremely good memory, they can often come across as a data bank of detail. A highly capable sun sign that is a good talker with a complicated personality due to their enquiring mind set. This love match can take some time to develop due to Virgo having a cautious nature. Both star signs value common sense and practicality, they work hard to deliver the creature comforts they crave. This love match must be careful not to take each other too seriously. Virgo likes Taurus to be the strong one showing dedication, while Taurus appreciates a quick thinking mind. Together love to surround themselves with beautiful things. Their love of luxury and their desire to be financially secure ensure that this star sign couple will work hard together. A slow burner of a relationship that over time can develop to become very strong. This match prefers the no nonsense approach with little time for insignificant issues. They will both work hard at giving each other what they need without argument and regard each other's thoughtfulness as the prize. Virgo must be vigilant not to be over critical of Cancer as they have an easily bruised ego, but with them having a high adaptability this should not be a problem. They will enjoy the good things in life but only if they had to work honestly to gain them, Virgo enjoys helping Cancer along the way of life. These two as a love match work to bring order and power. Once they have a common goal nothing will get in there way. Zodiac sign Virgo being adaptable will take a back seat for a while if a disagreement takes place and Scorpio will show them life beyond the literal level. This couple are loyal and develop very strong ties. They have a tendency not to socialise in crowds, instead preferring smaller meetings. Virgo acts as a calming force for Scorpio making for a harmonious relationship. A partner match of perfection, an uncompromising strive for all things to be perfect that is. They do not tolerate mediocre easily. This translates positively into a relationship that is romantic bliss. 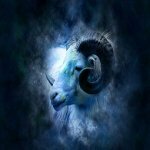 With Virgos adaptability they find it easy to work alongside Capricorn as long as there input is significant enough. Both when together do not allow their impulses to get in the way, leading to a solid dependable relationship. Zodiac sign Virgo adores Capricorn's dedication and intensity, while Capricorn intuition and attention to detail.